If we've learned just two things during our time as beauty editors, it's that you can never have enough lip balm, and when in doubt, cover every inch of yourself in coconut oil. We're joking, but not really… Say what you want about coconut oil, but when it comes to its luscious moisturizing abilities, it's rather unbeatable. Plus it has omega fatty acid–infused and antibacterial perks to back it up. Therefore it's not all too uncommon for us to willfully push aside our fancy lotions, butters, and creams in favor of our one-stop-shop tube of coconut oil. Not only does it moisturize in a far superior manner than most other hydrating concoctions we own, it also yields a healthily glowing after-effect we can't get enough of. So why not spread the love to our lips? We've been known to rub the pure stuff on our pout as a pre-bedtime masking ritual, but for everyday use, a multifaceted coconut oil–infused lip balm would be twice as nice. And thankfully many of our favorite beauty brands are delivering. Keep reading for our roundup of the best coconut oil–enriched lip balms money can buy. If you're not yet familiar with Kopari (the ultimate beauty alchemists when it comes to all things coconut), consider yourself introduced. We slather ourselves with everything the brand sells—especially come tropical vacation season—but are especially partial to this luxe coconut oil lip balm which boasts a pretty, glossy finish. Plus, naturally occurring omega fatty acids keep your pucker in tip-top shape. Though objectively unrelated, coffee and lip balm are the quintessential power-couple. After all, they're the first two things we reach for each morning. For the ultimate hit of caffeine and moisture, this cult-favorite version from Frank Body is an editor favorite and a sent-from-the-heavens savior for super-parched pouts. An ingredient list featuring a luxe blend of oils (including coconut, olive, and macadamia), vitamin E, and yes, coffee, gifts lips with the ultimate caffeine fix. Bonus: The brand just debuted two new tints. 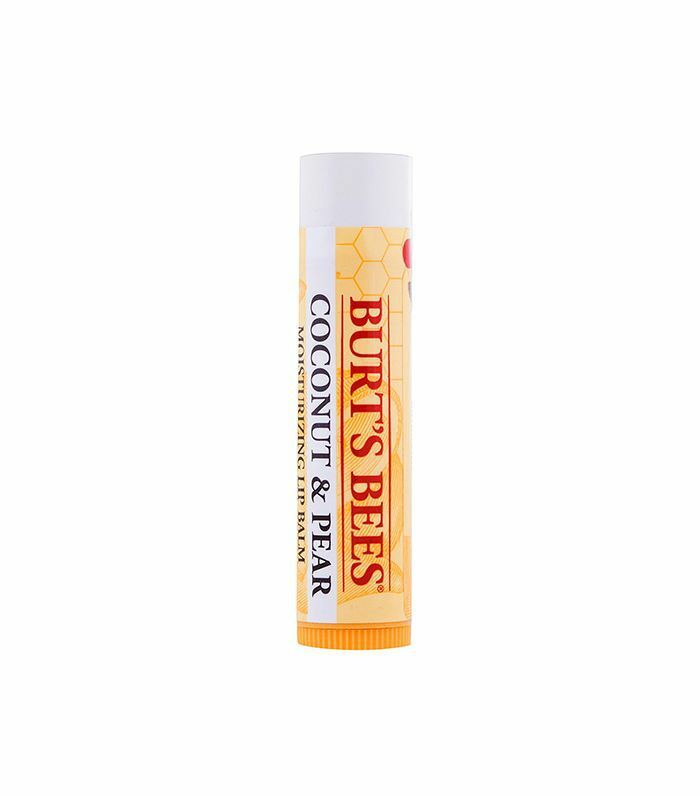 We know you already love Burt's Bees (and probably have a lip balm—or three—stashed in each of your bags.) However, from us to you, consider this extra coconutty formula your newest tropical addiction. Amazing scent aside, it's expertly equipped with coconut oil, shea butter, pear fruit extract, rosemary, and more. Lush lips, ahead. 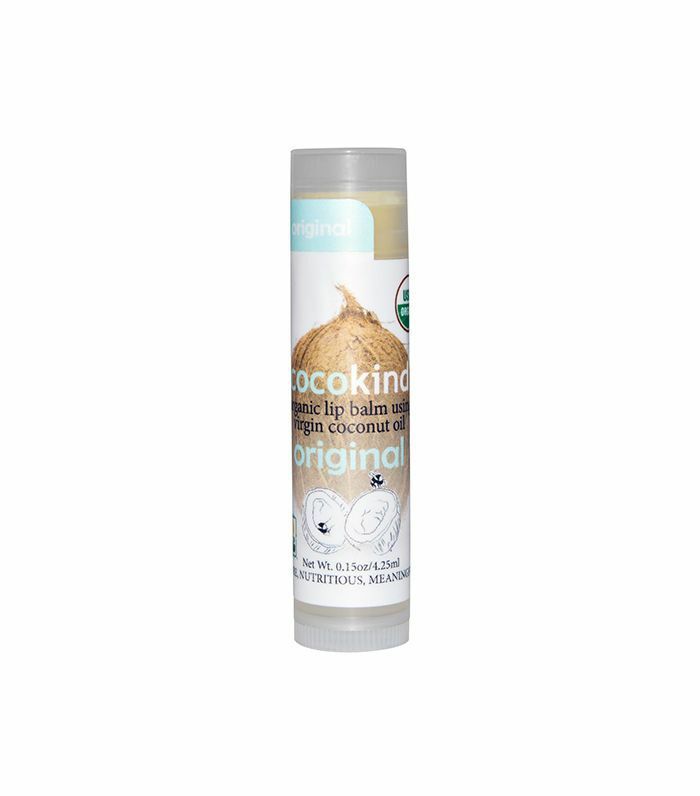 The next best thing to slathering pure extra-virgin coconut oil on your lips (which, by the way, we've definitely done in a pinch), is this minimalist yet all-around magical organic lip balm from Cocokind. In addition to it's organic, all-natural formulation, it's winning attribute is its epically short ingredient list: virgin coconut oil and yellow beeswax. 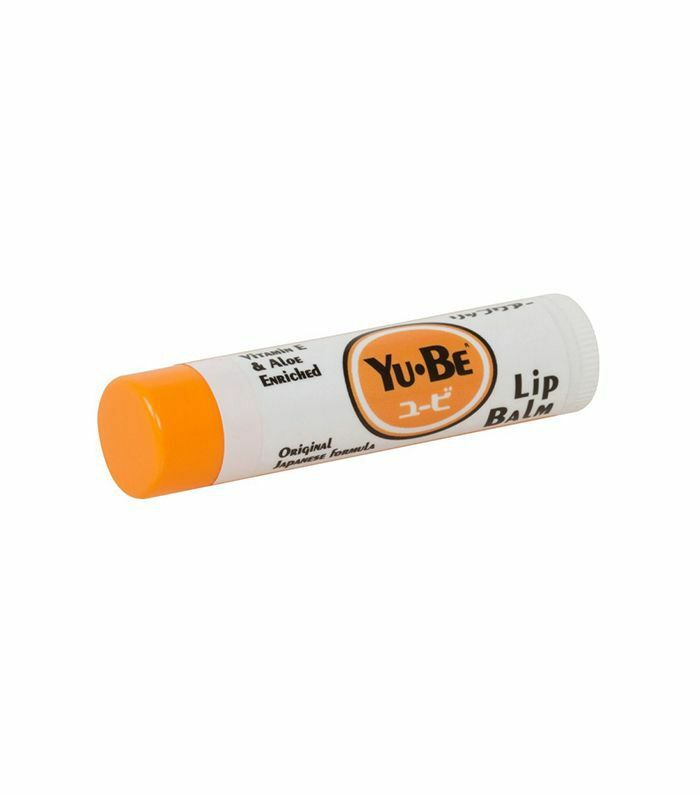 We have a thing for Japanese beauty products, and this all-natural lip balm is no exception. Try it, and credit your freshly supple pout to the tube's all-star lineup of sweet almond oil, shea butter, beeswax, coconut oil, and aloe. Admittedly, it was this vegan balm's whimsical packaging that initially snagged our heart, but trust us when we say our lips quickly followed suit. 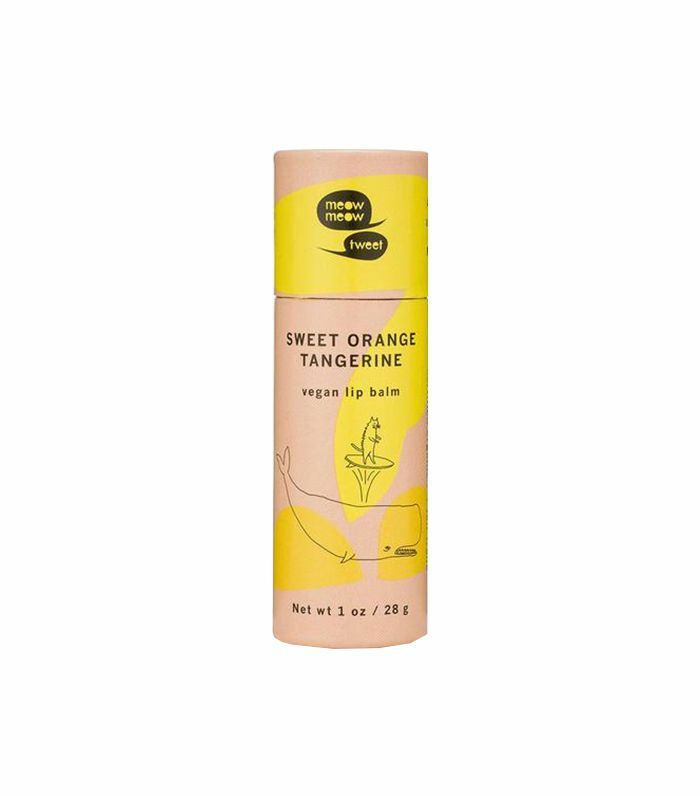 The sweet yet gentle scent is quaintly delectable, and our lips love the expert melding of cocoa butter and coconut oil for stay-all-day hydration. Blame it on our mint-chip flavor obsession, but when a lip balm claims a minty-fresh finish, we can't keep our hands off. 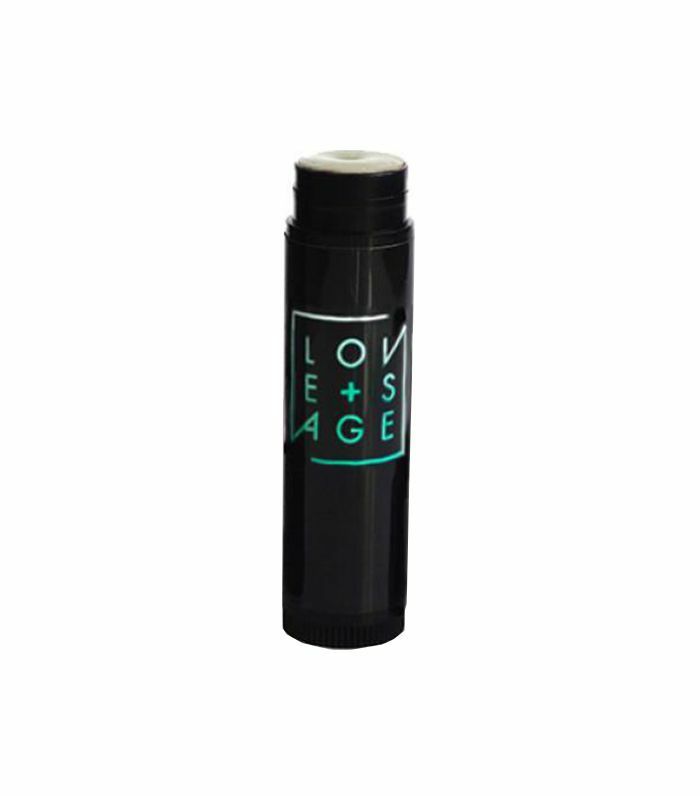 A recent regular in our ever-expanding lip balm arsenal, this one from Love + Sage is daily must-swipe. It's created with shea butter, coconut oil, beeswax, avocado oil, jojoba oil, castor oil, argan oil, vitamin E, eucalyptus, clary sage, and spearmint essential oils for 10-out-of-10 nourishment. 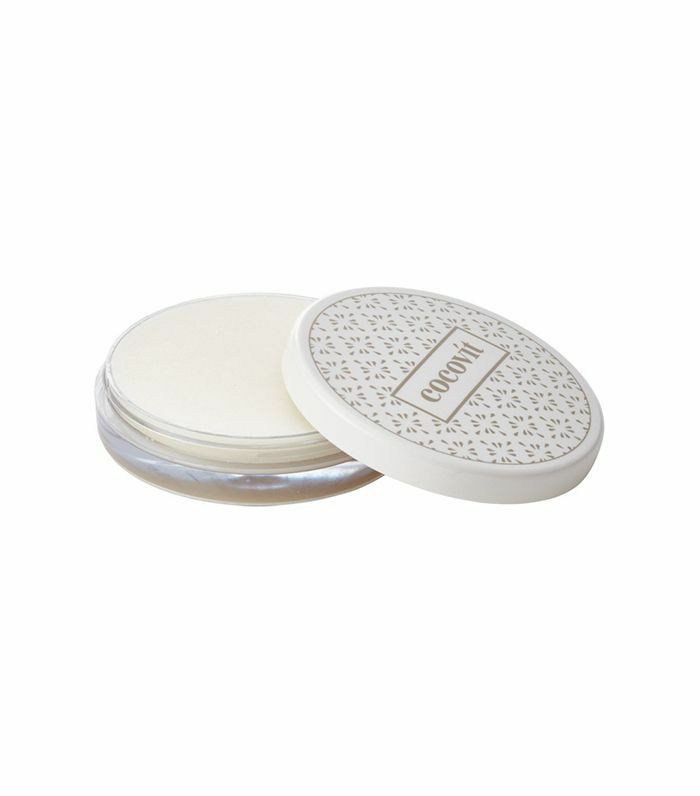 Dry, chapped lips are simply no match for this heavenly lip balm from Cocovit. Thanks to coconut oil, rich shea butter, beeswax, vitamin E, and a pinch of oil from orange and basil, the end result is plush, perfectly nourished lips. Plus, every ingredient is organic and ethically sourced from southern India. By all means, don't stop at your lips. 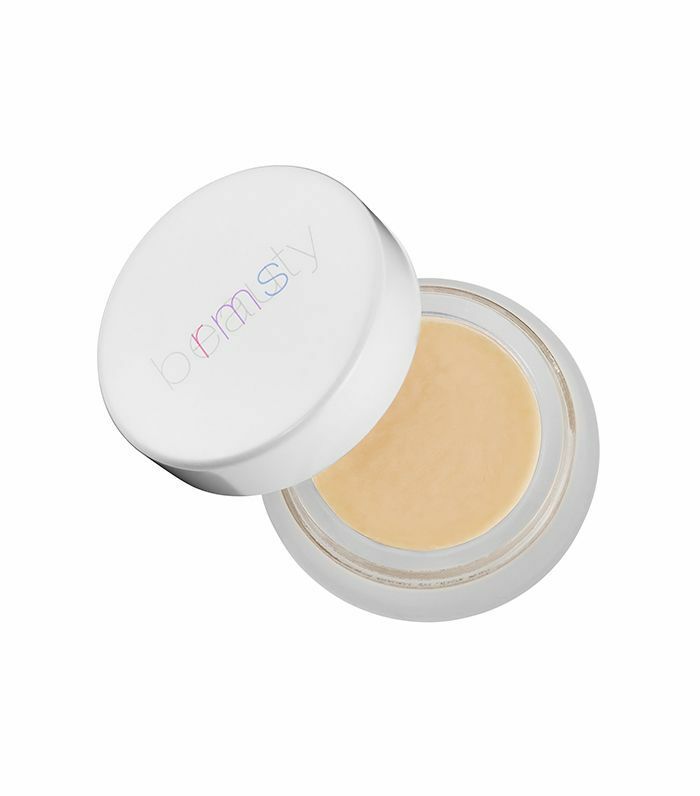 This do-it-all balm from RMS is an enchanting elixir that somehow manages to soothe our under-eyes, lips, fine lines, and wrinkles—even stubbornly dehydrated cuticles. Almost every ingredient is certified organic, and the indulgent combination of coconut oil and vanilla makes our heads spin in the best way possible. 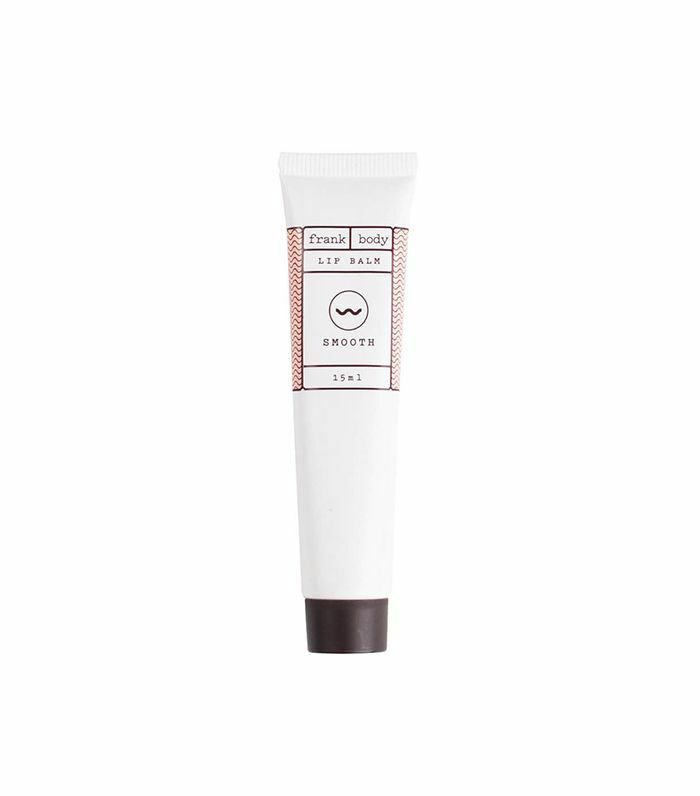 Provided by the same obsession-worthy Korean skincare brand that infused our favorite skincare products with tone-correcting Tiger Grass comes this luscious, lip-protecting balm from Dr. Jart+. Power-packed with some of our favorite ingredients, this option seals the deal (literally) with moisture-locking ceramides and complementary pinch hitters like peppermint oil, coconut oil, beeswax, and shea butter. This luxuriously melty lip balm is a new addition to Kiehl's hydrating and healing skincare family—the super-star ingredient? Coconut oil. 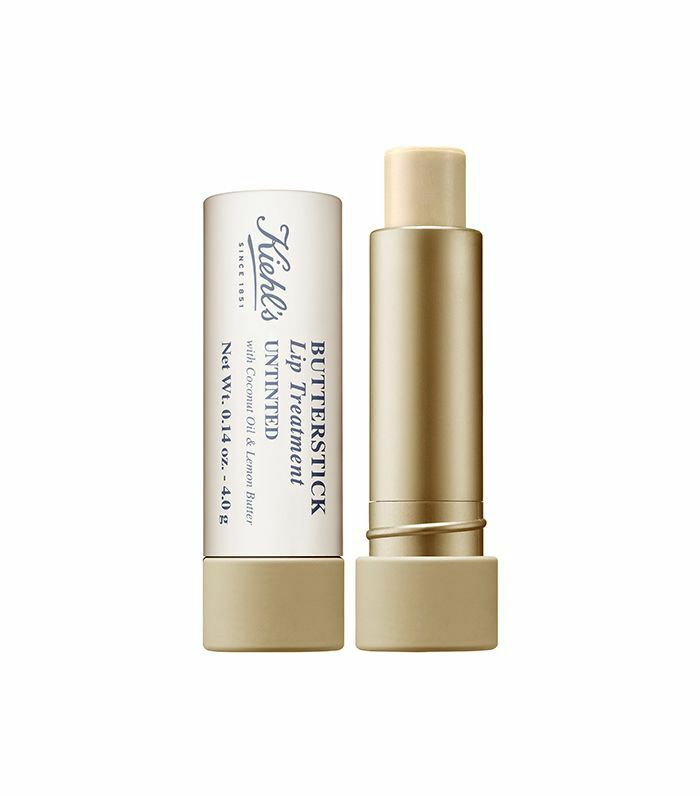 This butter stick-formula claims 12 hours of hydration with a side of lemony, fatty acid–infused shine. A heavy dose of coconut oil can sometimes verge a tad heavy for sensitive skin—especially if you don't take well to more comedogenic oils like coconut. 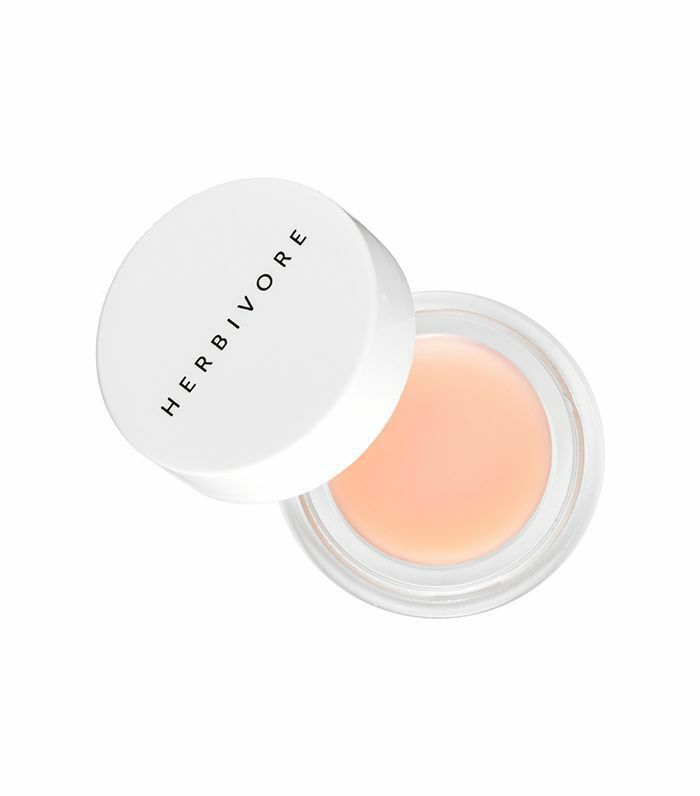 However, this weightless lip balm from vegan, cruelty-free brand Herbivore is anything but overpowering. Layer it on lips to correct dullness, dryness, and even pesky discoloration. It's fabulous under lipstick and is infused with the likes of organic coconut oil and Moroccan rose absolute, which nixes inflammation and instantly revitalizes a parched pucker. Love lip balm as much as we do? 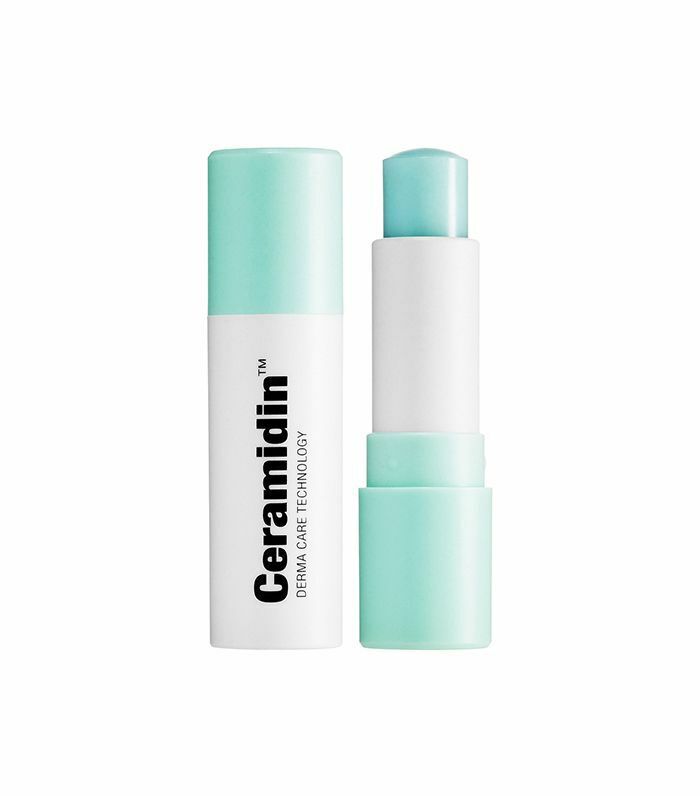 Check out the six drugstore picks our editors dub best-in-class.